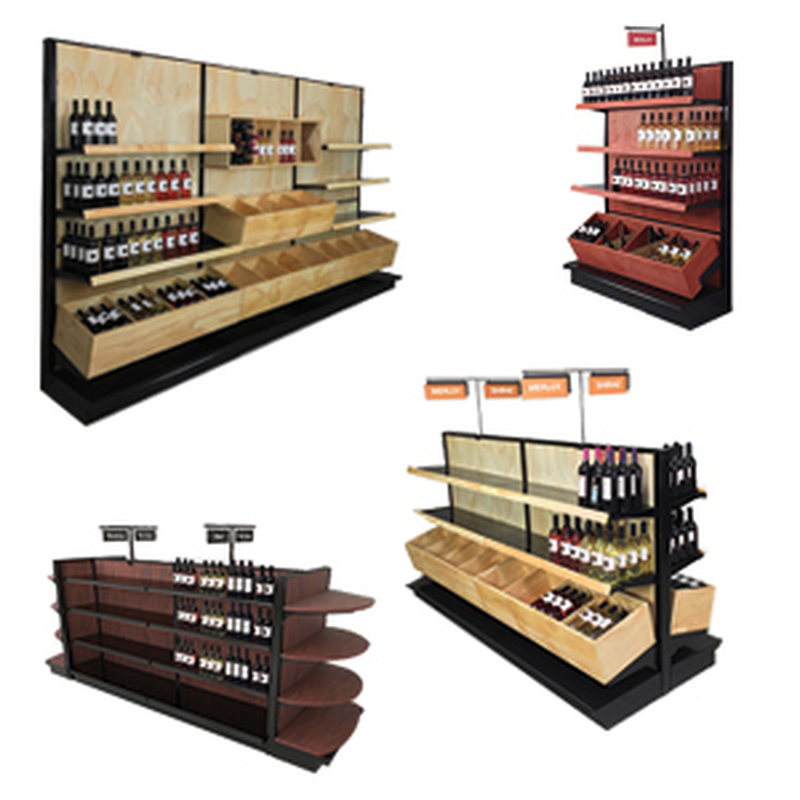 Retail signage and in store sign displays assist your customers in finding what they need. This helps them when they are visiting your store. The best shopper navigation ideas or retail wayfinding solutions often incorporate aisle signage and markers. Gondola store shelving makes up the majority of retail floor plans. This is true in many types of retailers. Yet this area of the store floor plan layout is often overlooked when it comes to providing adequate shopper way finding signage. Product category information is another form of communication that a customer needs in the store aisle. Retail visual merchandisers, cross merchandising specialists and retail architects agree that a professionally designed store interior design can help to increase your sales. 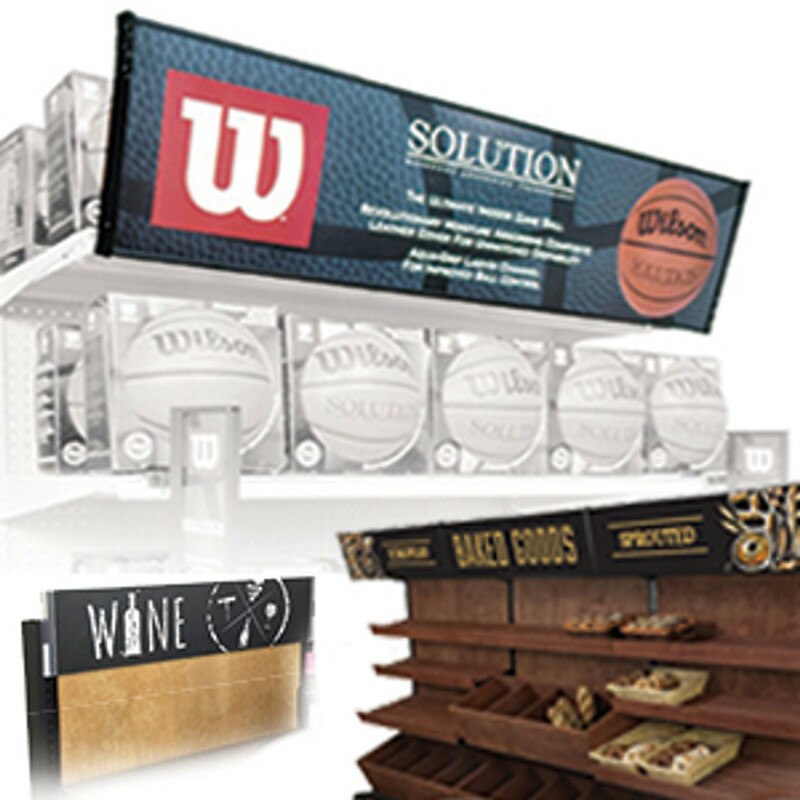 In store signage will also increase product turns and your bottom line profits. If you are interested in improving sales at an existing retail business the experts all suggest implementing a well-executed store signage plan. This applies if you want to start a new retail business too. 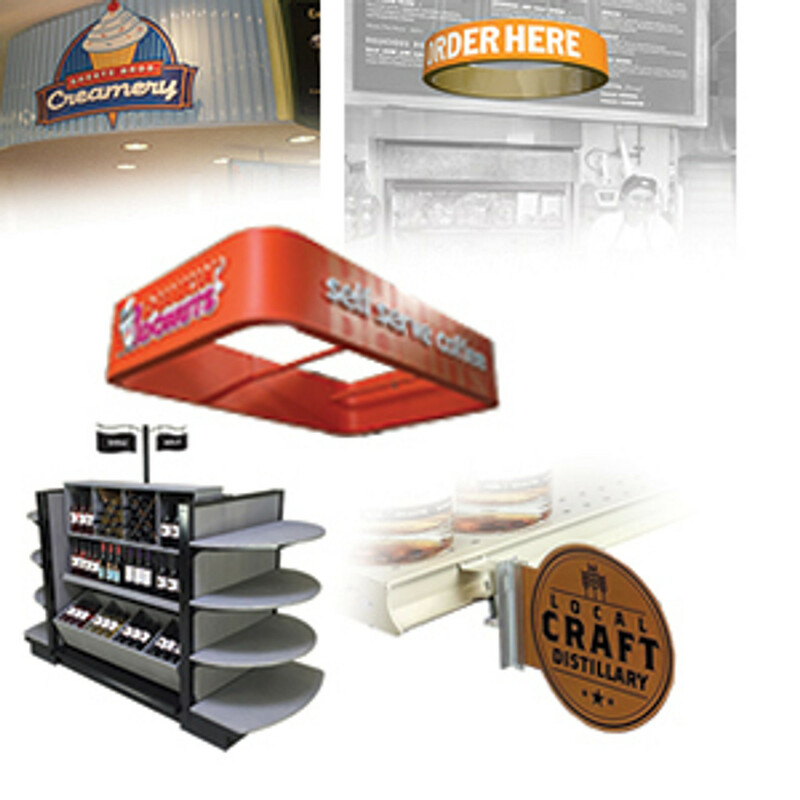 Generally, gondola aisle sign holders and signage are for the center store or the retail gondola shelving area. 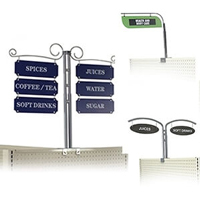 One of the best tips for ways to open or start a retail business, grocery store or warehouse is to add store aisle sign holders and aisle markers to the gondola shelving or to pallet racking as seen in some home centers. This tip also matters when opening a wine store or a liquor store. Even convenience stores can add gondola aisle sign holders and aisle markers to their gondola shelving. Many store owners think that after a store’s operations cost, retail inventory and store employees that grocery retail signage is the next thing to consider. Managers know that store fixtures equipment, store interior design and in-store signage ideas are important to running a successful store. 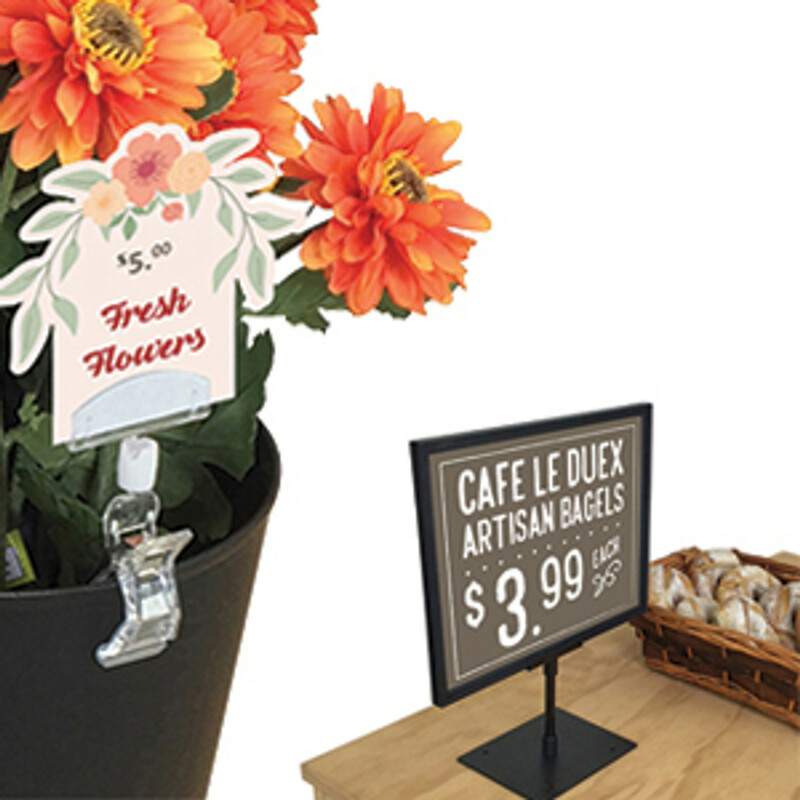 At DGS Retail our shopping insights studies have proven that using aisle markers in your store signage layout can be a relatively easy method to add effective retail wayfinding signs. These signs are looked at on average over 26 times in the first 10 minutes of a typical shopping trip. Supermarket interior design, grocery store design or other retail store design ideas can include this type of signage to speed up the path to purchase and help improve customer satisfaction at the same time. Store aisle signs help to boost sales, improve category management, streamline customer traffic and can lead to additional positive social media reviews and customer satisfaction. 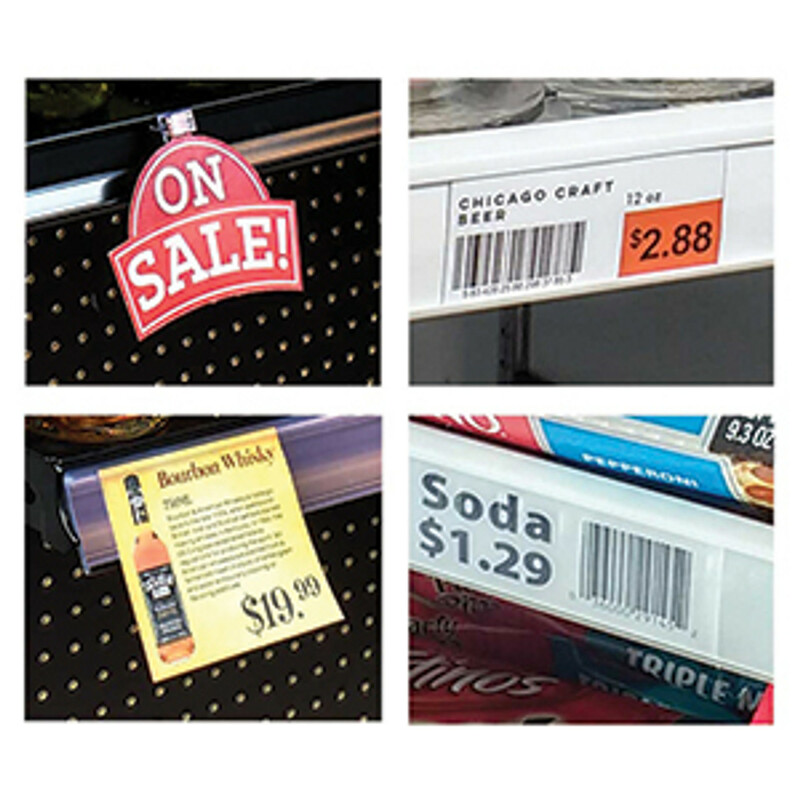 Aisle signs assist in increasing profit margins in grocery, liquor, convenience and industrial supply stores by helping shoppers quickly locate what they came into your store for. 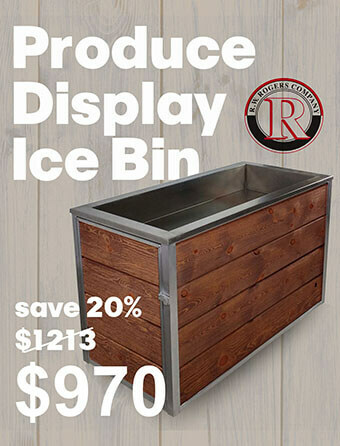 Signs are a good way to present impulse items to shoppers and that can add incremental sales to your bottom line from each trip to the store that they make. Store signs and decorations are extremely valuable when you are trying to differentiate your brand from competitors. The process of applying the best or coolest retail design to an interior design plan can be a key ingredient in the overall success of a store. Use DGS Retail for a large selection of gondola shelving aisle signs and retail end cap signage displays that are proven retail wayfinding solutions. 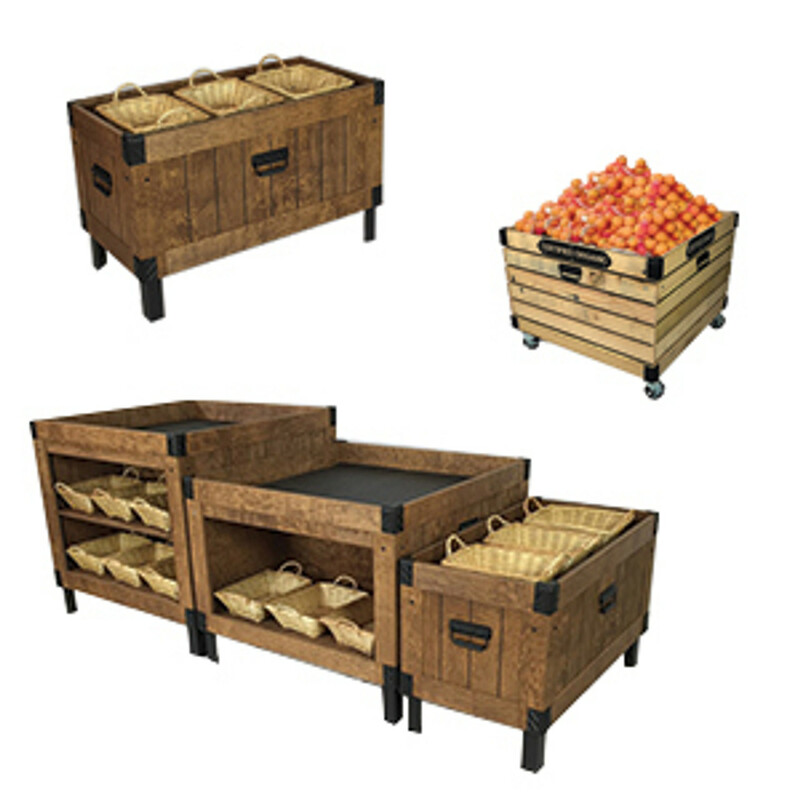 Add supermarket decor, grocery store layout ideas or small store design concepts for a complete interior design program. 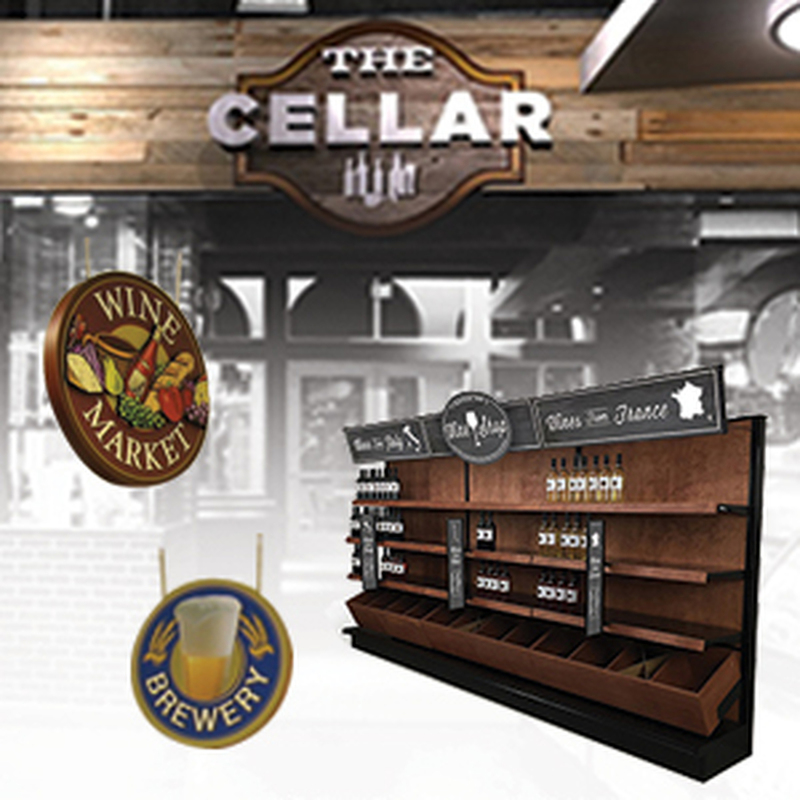 Some of DGS Retail’s best ideas or tips start with aisle signs and markers that used on store shelving or liquor store shelving. Gondola aisle sign holders are often referred to as aisle markers, grocery aisle signs or store aisle signs. At DGS Retail, you can order the metal sign holders online and we custom print the aisle signs to your specifications. DGS Retail has been manufacturing store display signs since 1979. We do this for many sectors of the retail industry including the food display marketing industry, liquor stores and convenience stores. The signs are often used at department stores; industrial supply warehouses and plumbing supply stores too. Let DGS Retail be your one stop aisle sign warehouse! 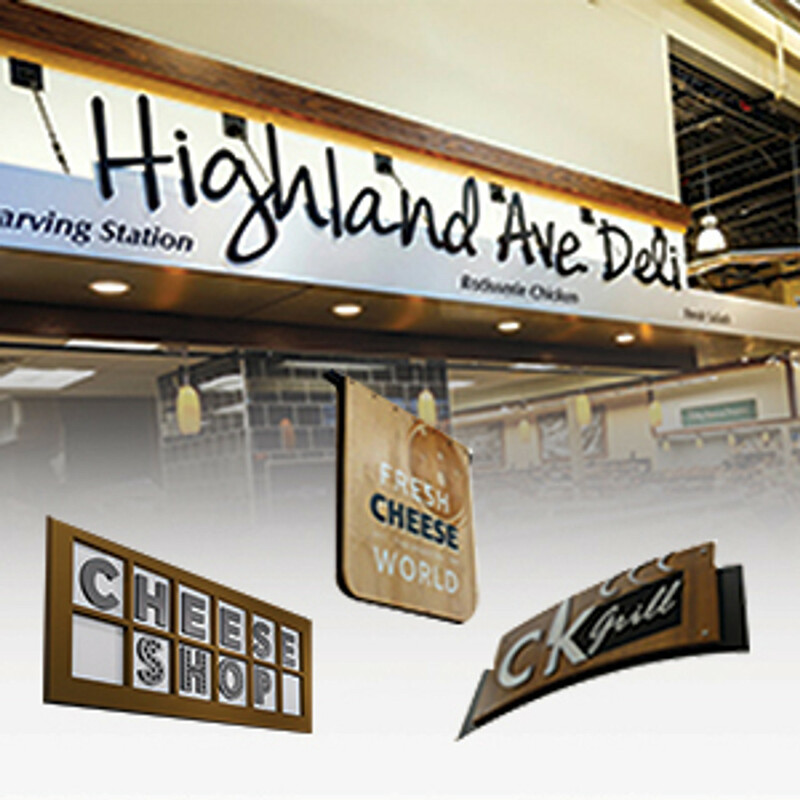 Our aisle signs are designed to attach to the end cap displays of the gondola shelving floor display racks or to be used down the center of the grocery store aisles. The signs are in store signage and can often depict custom digitally printed graphics that can feature your store logo or advertising message. Use them as a category management tool to advertise product categories that can display the items that shoppers will find down each store aisle. DGS Retail makes hanging aisle signs as well for suspending from a ceiling. Hanging aisle signs are generally used in a larger store environment instead of gondola aisle sign holders. 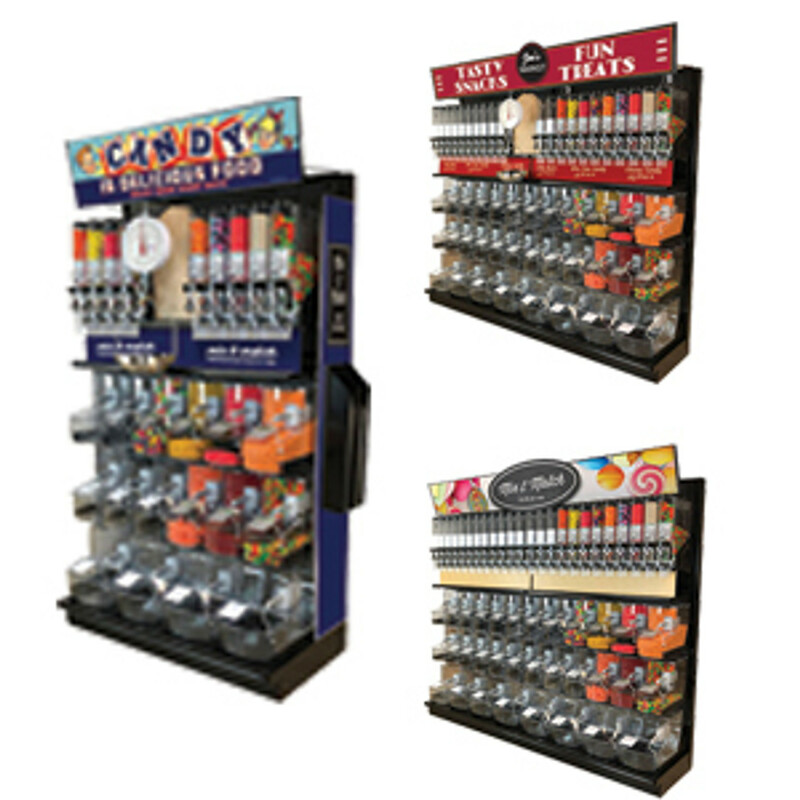 The gondola sign holders are custom printed grocery store signs and are mounted to the store gondola shelving or end caps. DGS Retail has in-house store designers that developed the elegant sign hardware shown in this category. The sign brackets or hardware are designed to be able to be attached directly to most gondola shelving or retail floor displays. The brackets will fit store fixtures from Lozier, Madix and Storflex. The sign hardware can also be mounted to most flat surfaces too. DGS Retail aisle sign hardware is specially engineered to fit over the top caps of these types of store shelving systems. We supply gondola shelving instructions for the sign installation. Sign hardware brackets are offered in hundreds of hot retail design styles that look great in any retail environment. Combine our sign hardware brackets with stunning custom printed retail aisle marker signs to create millions of unique styles. These are great supermarket sign ideas at a low store signs cost. The sign mounting brackets are all height adjustable. This is so you can place the aisle marker signs on different height store fixtures and still have them look like they are the same height above the finished floor. 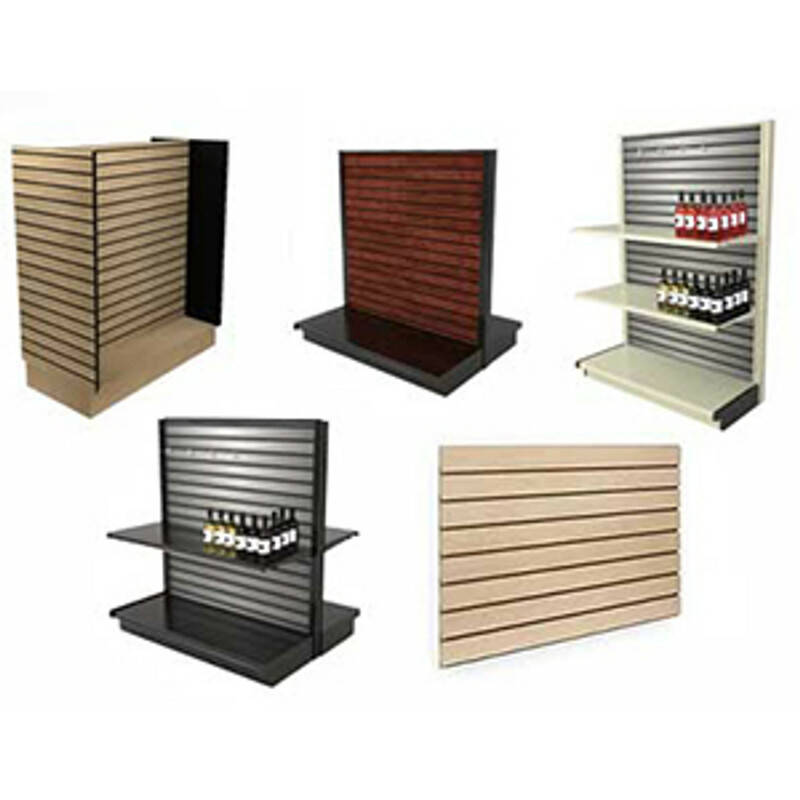 It creates the professional retail design look that store designers and visual merchandisers crave! DGS Retail’s unique sign hardware can be positioned so that the signs are either perpendicular or parallel to the gondola shelving. Angle the sign depending on customer and shopper traffic patterns in your store. DGS Retail’s aisle signs are sold in 2 designer shapes. We offer an upside-down “L” shaped sign that is generally used to display the aisle marker on one side of a gondola. The other version is a “T” shape that can display two custom printed aisle signs so that there’s one sign over each side of the gondola. The “T” shape is most effective for island gondolas. The “L” shape is better suited for wall shelving or above beer coolers or frozen food cases. The end cap aisle signs are generally in a “T” shape and feature multiple custom printed signs that are hung from each other and show all the categories that are stocked on the shelves down the aisle. 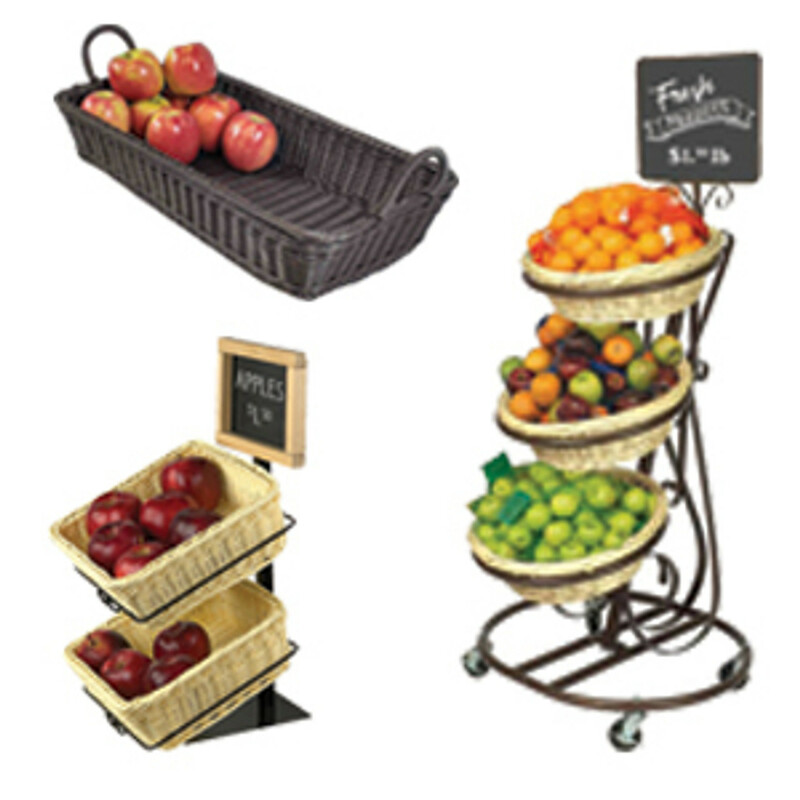 Gondola aisle sign holders are most effectively displayed close to the retail floor displays and on gondola shelving. Our aisle markers are very versatile and are engineered to be used on the top cap of gondola back panels, over the slotted uprights, over shelves and on top of retail end cap displays. The sign hardware is 100% steel that has a baked on finish for long lasting durability. We custom print the product category name that’s displayed on the sign. Store aisle signs are also super noticeable when used above beer cooler door runs or above frozen food glass door coolers. 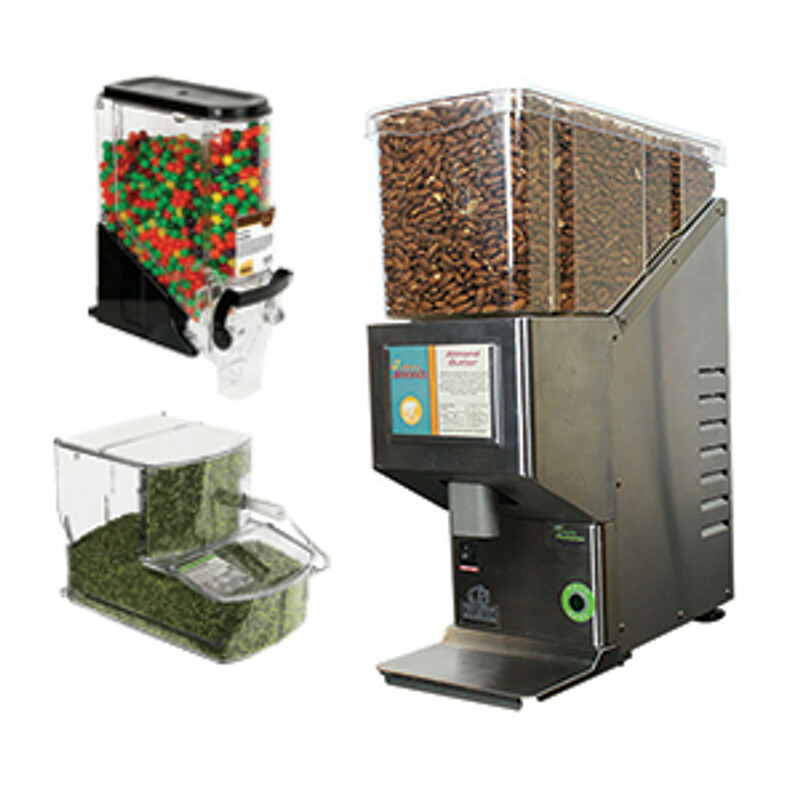 These are frequently deployed at C stores and supermarkets. The aisle sign holders are designed to mount to the top of the coolers or to protrude from a wall at a 90 degree angle. DGS Retail suggests placing one aisle marker for every 4 feet of gondola shelving. For cooler or freezer cases we recommend one grocery or supermarket aisle sign above each freezer glass door. The same would be true for usage above display coolers at convenience stores. Aisle markers are also great when they are used above convenience store shelving or above grocery store shelving. We also suggest using them above convenience store fixtures and liquor store shelving. Display retail aisle markers on used grocery store shelving to spruce them up and make them look good as new. They can be used above commercial wine racks, in wine shops and above gondolas in plumbing, irrigation or electrical supply stores. 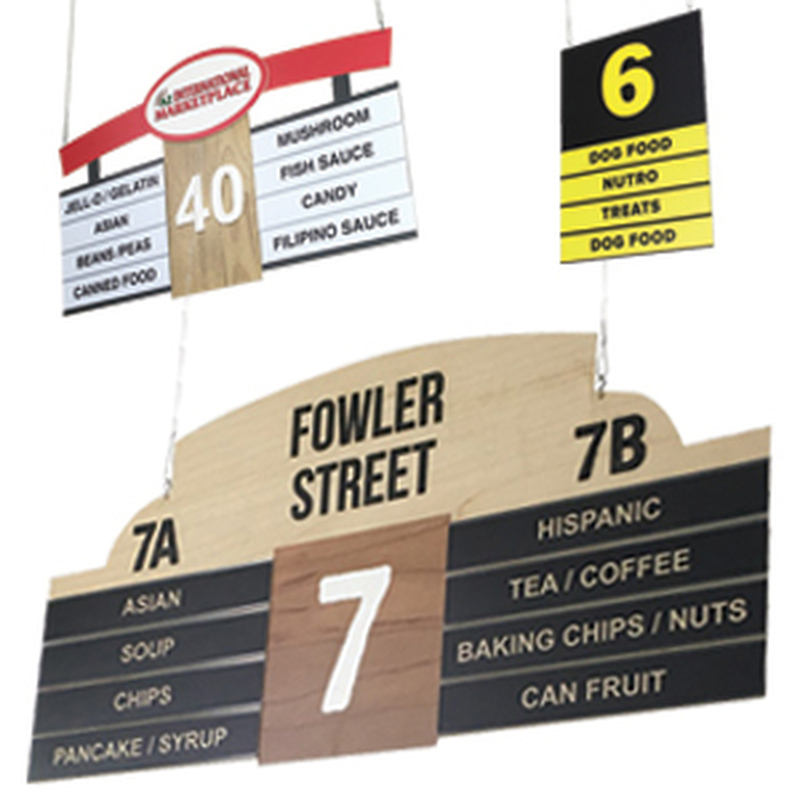 Aisle markers can be used to make beautiful and creative grocery store displays or as food display signs. 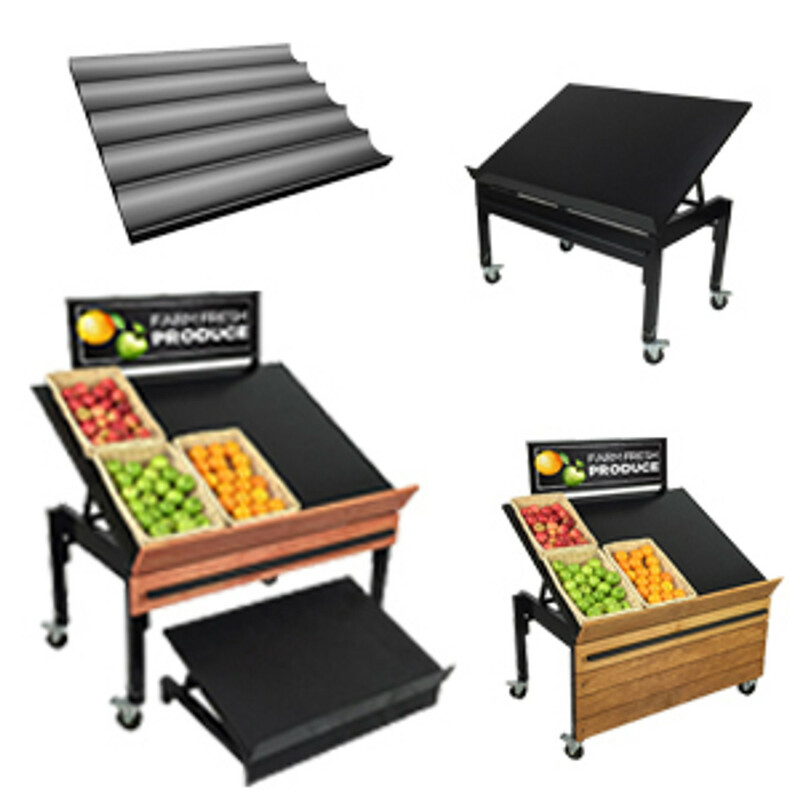 They make great retail sign displays and are used in small grocery store design or urban grocery stores to make the grocery store floor plan understandable to shoppers. The online ordered custom print signs are easy to change out so you can redo the store layout or change planograms. You can completely change your store and still use the same sign hardware over again. The end cap display aisle signs are a good place to showcase your store logo or other custom printed advertisement or message. Aisle signs are very useful when your department or store has many small packaged products or items that make them hard to find. For this reason auto parts stores and drug stores are an ideal place for aisle marker retail sign displays. 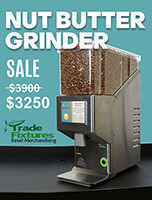 Hardware stores and industrial supply stores can be confusing to shoppers and contractors who may not be as familiar with the products displayed as they would be at a grocery store. Using effectively designed aisle markers for retail in this environment can help to relax customers and get them to where they need to be with a minimum of apprehensiveness. DGS Retail has a wide collection of aisle markers and retail end cap signage that is designed for use in hardware stores, plumbing supply retailers, auto parts stores and more. Put our expertise to work for your store design layout today. Pharmacies and drug stores generally have many small individual products and a lot of them look alike from a packaging standpoint. Help your shoppers get to the right drug store aisle and to the right pharmacy shelf with the assistance of a well thought out pharmacy signage package. DGS Retail offers custom printed aisle markers for hanging as well as to mount to shelving units. Creative departmental signage solutions can also be used to add decor signage to the perimeter walls. Let DGS Retail be your source for custom pharmacy signage. In some ways similar to pharmacies, liquor stores can have many products on the shelves that are in similar packaging. This is true of wine bottles and spirits bottles. A store that’s full of thousands of glass bottles can be somewhat overwhelming for a shopper to navigate. With a natural reticence most shoppers can be reluctant to ask for help while shopping. To a large degree, liquor store aisle signs will alleviate the perceived hassle of endless trips up and down multiple store aisles looking for that special bottle of wine. 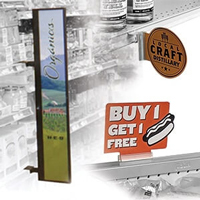 Use liquor store aisle markers to advertise wine varietals, craft beer and types of liquor. Use both hanging aisle signs to show large groupings of liquor like French Wines or your main Whiskey aisle and then use the gondola shelving aisle signs to show finer subcategories down the aisle like French Cabernets and Bordeaux wine and Canadian and Irish whiskies. Best use for aisle signs and retail merchandising tips include using aisle markers on all your gondola shelf aisles. Place them both at the end caps and down the full length of the store isle. Aisle signs can be used to advertise any category in the store. 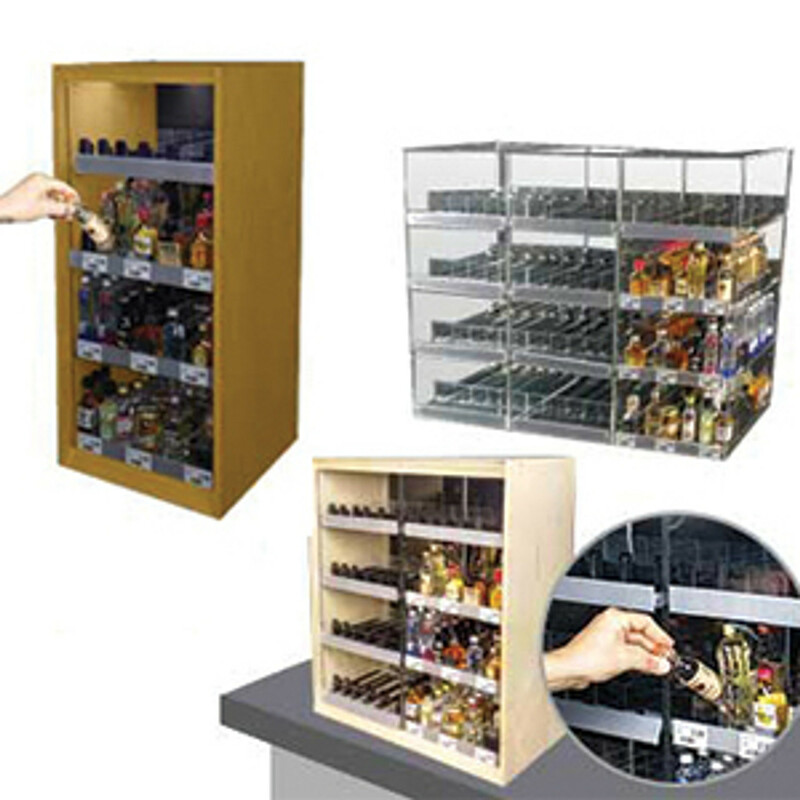 Use them to communicate different types of wine bottles, over the counter medicines or auto parts. 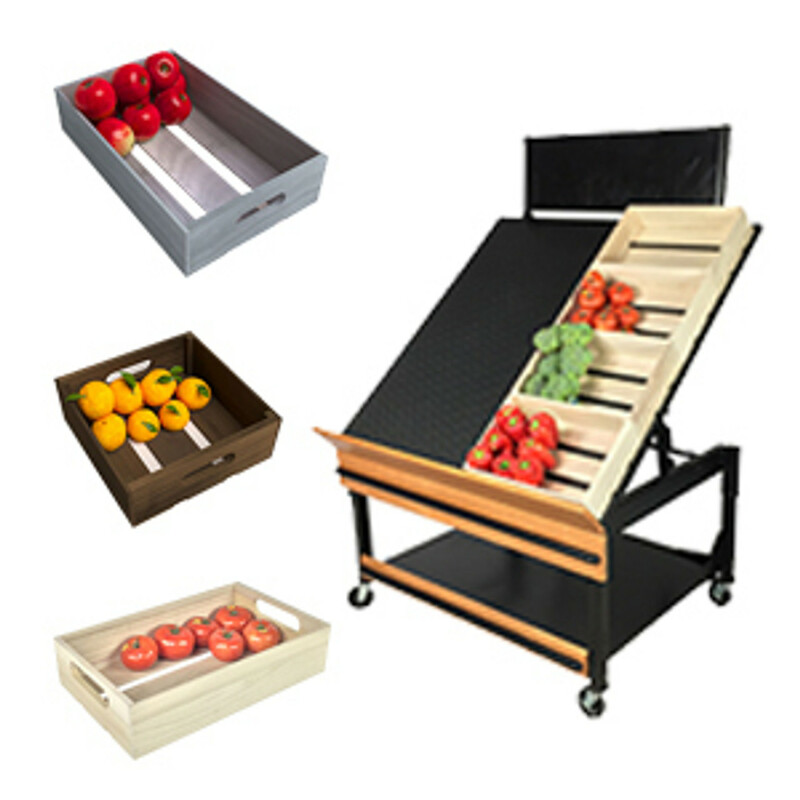 Retailers use them to promote fresh produce or convenience store items too. Bakeries use aisle signs to show the different types of pastries, bagels or breads on their shelves. Plumbing supply stores can advertise to contractors the different plumbing categories that are for sale down the aisle. 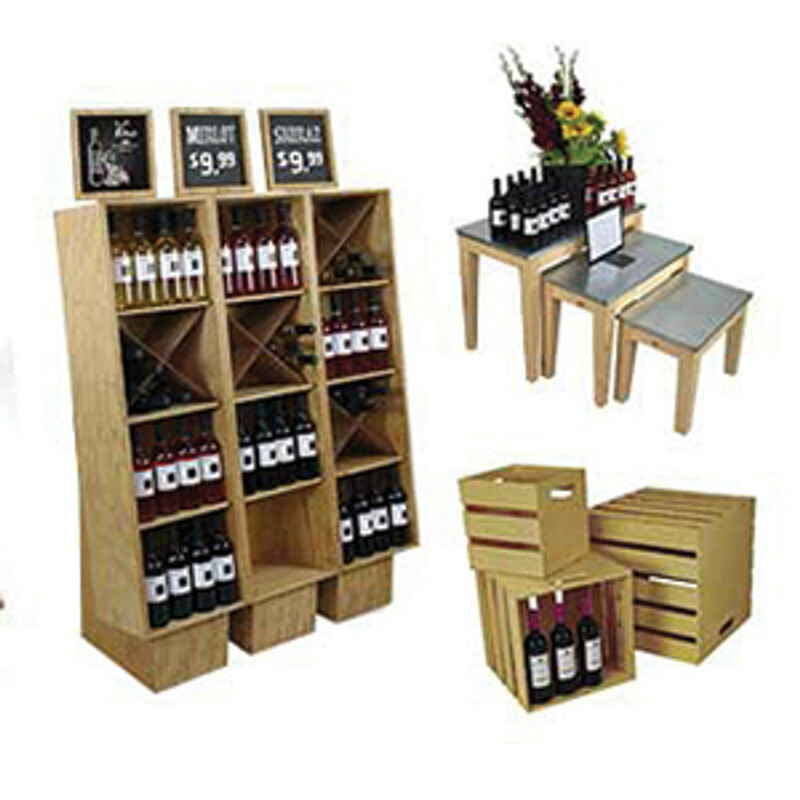 For a more unique retail point of purchase display use aisle markers in combination with other retail sign holders that DGS Retail offers. Grocery store signage and supermarket displays on gondola shelving can include the aisle markers used with shelving strips and tag holders, shelf edge sign holders, magnetic sign holders and retail gondola header and topper signs. Get creative with DGS Retail’s world of sign holders and displays to create a custom display store fixture that will make your customers notice! Here are answers to frequently asked questions about how to order aisle signs.